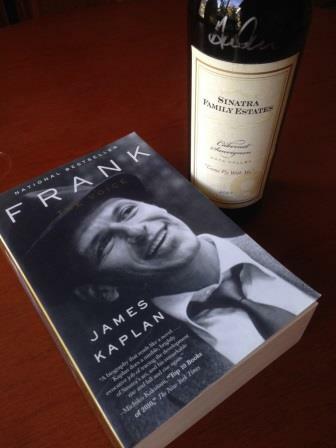 I can read about Frank Sinatra’s life while sipping his family’s wine…an excellent pairing if ever there was one. Last spring I attended the annual “Authors on the Move” event in Sacramento, the signature fundraiser for the Sacramento Public Library Foundation. It was a terrific event that included opportunities to interact with authors of a wide variety of books meeting every interest (and to purchase their books as well). Even better, during the dinner portion of the evening the authors rotated table-to-table among the audience so that each table got the opportunity for some extended time and conversation with three different authors throughout the night. As I am prone to do, I bid on a couple of the live auction items, and wound up walking out that night with a case of fine wines personally selected by the Library Foundation board members, paired with a selection of books to match the wines. For example, a copy of Frank Sinatra’s biography, Frank: The Voice, was paired with a signed bottle of Sinatra Family Estates Cabernet Sauvignon. A dozen different books and a dozen different wines…I loved this concept and couldn’t pass on the opportunity to pick up some interesting reads and some wines that were just as interesting. 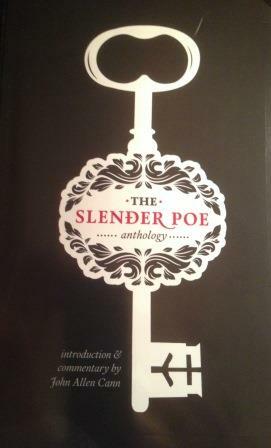 This Edgar Allan Poe anthology unexpectedly arrived in my mailbox today. Fast forward to this fall, and today I received in the mail a book from the Sacramento Public Library Foundation. It turns out the Foundation commissioned the printing of a collection of Edgar Allan Poe’s lesser-known works as part of an annual effort called “One Book Sacramento,” where the Library shares a single book among its supporters with the intent of fostering reading and discussion. The book includes a bookplate from the Foundation thanking supporters of the Library for their contributions to advance literacy. The various branches of the Library are holding events throughout this Halloween month focused on Poe’s writings. What a nice, unexpected, and relevant way to steward donors while advancing the Foundation’s mission at the same time. Kudos to the Sacramento Public Library Foundation for this effort! This post originally appeared on Paul Lanning’s blog, Philanthropy Matters.